Overmolding is a process in which one material is molded over the top of another material that has been inserted into the mold. The first material can either be inserted into the mold as a finished part (as in insert molding) or the material can be injected into the mold as the first step in the injection molding process. This is also commonly referred to as “two-shot” molding because the different materials are injected into the mold in a multi-shot process. 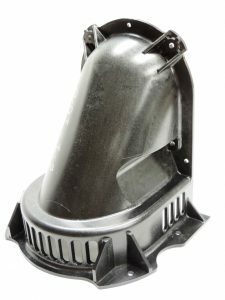 Typically, the two materials used in an overmolded part consist of a more rigid structural polymer inner molding with a flexible elastomer outside. This allows designers to provide the necessary rigidity and structural integrity for the bulk of the part and a textured, grippable surface on the outside. Additionally, overmolding is an opportunity to add a contrasting color accent to a part, making the second material not only functional, but a cost-effective marketing tool. Contrasting colors can be used for aesthetic or functional purposes and this method of color accenting is much more durable than most printing processes. The ability to use multiple materials in a single molded part not only adds design flexibility, but can save customers money by allowing them to combine less expensive polymers, while using more expensive engineering resins only where needed. Overmolding has also proven to be an effective way to reduce the weight of components in weight-sensitive applications such as in aerospace or machinery components. The overmolding process is also commonly used in applications such as the handles of power tools or other consumer products for which a good grip is essential. The versatility of the overmolding process has led to widespread applications throughout the aerospace, medical, HVAC, marine, and consumer goods industries. Critical knowledge regarding compatibility of the adjacent materials is fundamental to the success of the overmolding process. If the materials are not compatible, innate stresses could occur at the material boundaries and the different materials will most likely not bond properly. Different thermoplastics can experience vastly different shrinkage rates upon cooling, and if the difference in these rates is too great, the bond will not hold. K&B Molded Products has an extensive amount of overmolding experience and is capable of providing expert advice in regards to the optimal overmolding material combination for any function and price point. Once the material selection is determined, molds are designed and fabricated to accommodate the properties of the specific materials. Choosing an injection molding vendor entails so much more than whom initially quotes the lowest price. While costs are always of paramount concern, selecting a vendor without the necessary knowledge, mold making capabilities, engineering support, and quality management system can lead to long-term quality and supply issues. We are ISO 9001:2008 certified and strive to provide the highest quality components while keeping prices competitive by implementing lean manufacturing principles into our everyday processes. 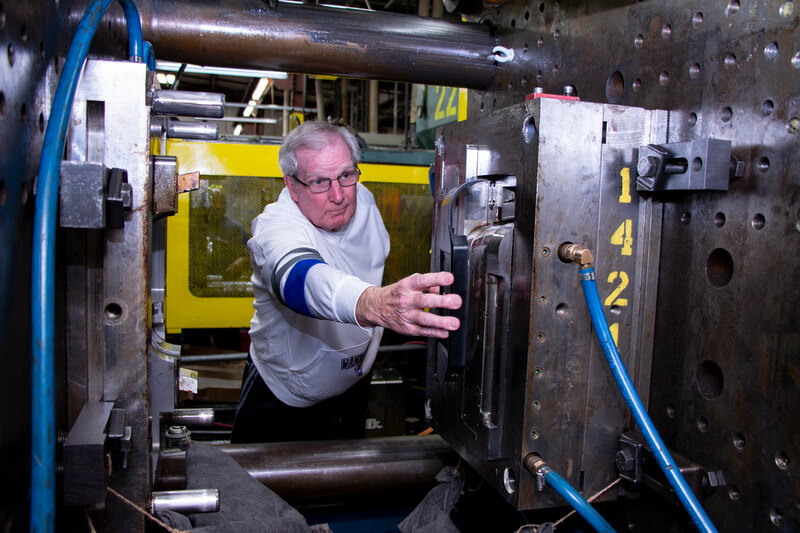 In addition to mold making and injection molding, we offer numerous secondary processes designed to streamline the supply chain and add value to the manufacturing process. These processes include trimming, assembly, packaging, and drop shipping.